Sixt makes car rental in Koblenz, Germany, easy and convenient. When you rent a car in Koblenz you can choose from a wide variety of top quality, top brand vehicles. From economy to luxury car rental options we have the right rent a car to suit your budget and mobility needs. Our car rental Koblenz services offer a large selection of diverse vehicles. Choose from our up-to-date fleet of compact cars and sedans, sports cars and convertibles, and SUVs. Deals on useful add-ons can also help you have an optimal experience. When you book online or over the phone consider enhancing your rent a car in Koblenz with extras like GPS, unlimited mileage, additional driver coverage, coverages and protections, a child seat and more. Please note Sixt reservations are only guaranteed for the car category as specific models are subject to availability. 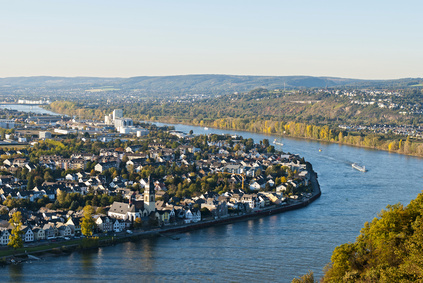 Koblenz is situated on the banks of both the Rhine and Moselle rivers and with a rental car you can tour around the area in comfort and at your own pace. With over 2,000 years of history, there are a lot of points of interest to see in and around the city. Drive out into the countryside to enjoy the landscape and spend time in beautiful forests. Koblenz has a wonderful museum where you can check out important collections of art and historic artifacts too. With your car rental in Koblenz you will be able to open up your trip to the region to all kinds of possibilities and destinations. We look forward to helping you make the most of your journey!